Hi there, it's Eva here and I have two ornaments to share with you just in time for Christmas. 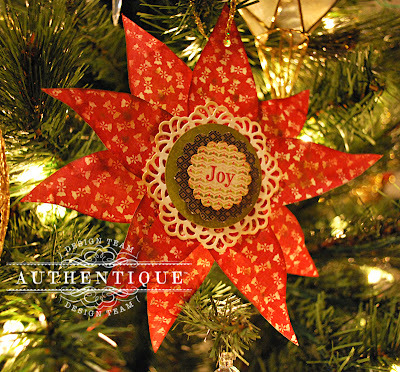 I created these with Kiwi Lane Designs Christmas set and with Authentique's Joyous Collection, specifically the 6x6 paper pad. My first ornament is actually a double duty as I made it into a card by cutting two shapes out, so you can give it as a card and they can hang it on their tree as well. It was very easy to trace the ornament shape and cut out and I used a doily die cut to layer my pretty sentiment label on top of and added my Petaloo flowers as well. My next one is the Poinsettia from the same set and once again, tracing and cutting out was a cinch. I did shape my flowers a little bit and inked them up and added a doily die cut in the middle and my circles and scallops die cuts. Both of these look great on our Christmas tree. Hope this inspires you a bit to create your own Christmas decorations a bit. 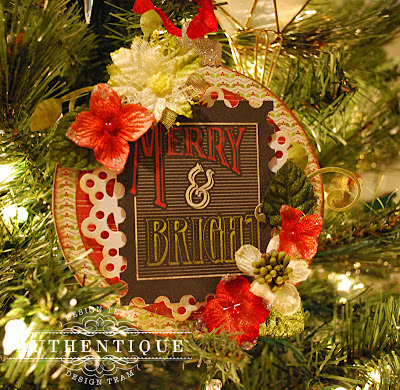 Love the idea of making a card that can hang on a tree! Genius! Gorgeous poinsettia! Wow, these are both so beautiful! Love the colors!! They are both so gorgeous and look very magical! I love the warm Christmas colours! I would love to use these templates to make my own Authentique ornaments. I love the large poinsettia. I might try to make that flower if I won the prize pack. Perfection. Pat yourself on the back because this is fabulous. These ornaments are gorgeous! I love all of the details, thanks for sharing. So gorgeous! I'm loving the Christmas inspiration! 12 Crafters Humming as we merrily work with the wonderful Kiwi Lane templates and lovely Authentique papers to make our homes and hearts sing all year round. Gorgeous projects today!! 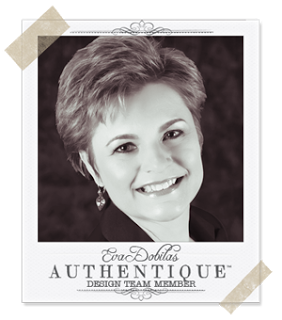 You are such talented designers on this blog! Great inspiration too! Would love to make my Christmas cards and get a head start since I finished this years today! How cool that you doubled this as a card as well. Fabulous idea. Thank you that every day we are encouraged by the unusual and different ornaments! I'll try to do something similar, but with this paper blocks would be easier! I would use the templates to make some cute home decor projects for my two grand-daughter's rooms! A hanging mobile, a framed name plate...I could go on and on!